A family reunion is a great experience that brings everyone in your immediate and extended family together. It’s the perfect time for strengthening relationships while having fun, which is why it’s important to plan activities. There are seemingly endless ideas to explore at your family reunion venue, and planning your activity schedule ahead of time will ensure everything goes smoothly. If you’re looking for activity ideas that are sure to make lasting memories for you and other family members, consider the following suggestions. It’s important for younger generations to understand their family’s roots, because of how it can inform their own personal narrative. Creating a visual representation of your family tree is a perfect way to educate them on your family’s history. At the family reunion venue, find a large tree, or if possible, plant one of your own if the venue allows it. Organize everyone present around their respective branches, and have the older members begin explaining the family’s origin. This activity will not only help put everything into perspective, but also everyone is sure to learn something about your family’s origins—and ultimately, themselves. To see how well everyone really knows one another, organize a family trivia game. Gather unique facts about each family member, write them on flashcards, and place them in a jar. Whether you opt to do the next step all at once or gradually throughout the reunion, have attendees pull cards out and attempt to guess which respective family member the fact applies to. This will bring everyone closer and allow relatives to learn more about one another in a fun and exciting way. Team building is another way to increase and enhance family bonds. 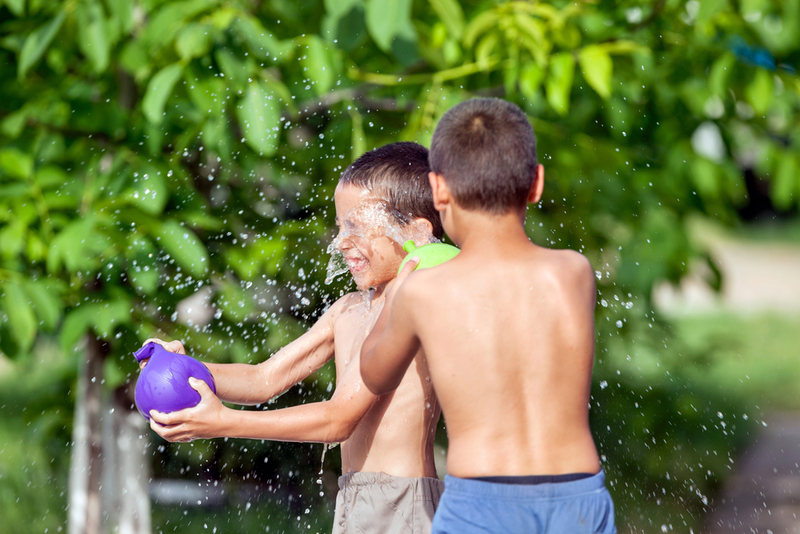 Try something simple that everyone can participate in, such as volleyball, kickball, or a friendly, water balloon-infused version of capture the flag. Whatever game you choose, make sure the family reunion venue has enough space to accommodate the game. Also, place people on teams with other relatives they don’t know as well, to give them the chance to get to know each other. If you prefer playing multiple games, you can opt to break up the day into a series of smaller tournaments with multiple challenges. If you’re looking for your next family reunion venue, explore Jordan Hill Farm in Richmond, KY. Their beautiful 85-acre grounds feature some of the state’s best countryside and includes a 45,000 sq. ft. homestead for guests. The planning staff can help you organize activities, catering, and other aspects of the gathering. Additionally, they offer a number of vacation and getaway packages, which you can explore by visiting their website. Call (859) 623-0807 today to book a meeting venue and connect on Facebook for news and updates.